According to the 2018 Science and Engineering Indicators Report, 8.2% of African-American women are pursuing degrees in the Science and Engineering fields and represent 5.7% of the labor force. The growth trend has increased incrementally over the years due to STEAM programs that have focused on increasing this population by introducing STEAM topics at earlier ages, providing youth mentoring, engaging professionals to introduce career paths, and encouraging them to pursue their dreams. 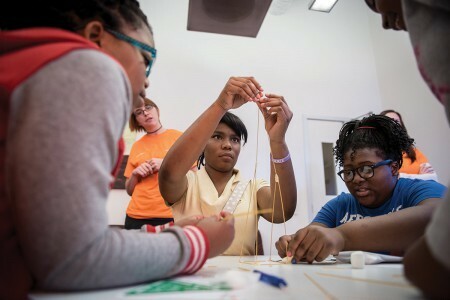 The YWCA TechGYRLS program embodies these values by offering a myriad of programs to continue the increase of African American women attaining their education in the STEAM fields and entering the labor force. TechGYRLS is a youth empowerment program designed to raise girls’ interest & confidence in the critical areas of science, technology, engineering, arts & mathematics (STEAM). 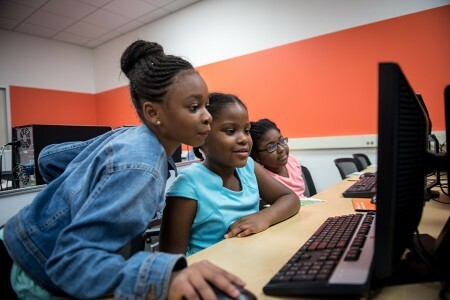 The TechGYRLS Program will help young girls develop the usage of technological tools, critical thinking, and problem-solving skills in any profession they pursue. The program offers students a safe, supportive, girls-only environment for exploration and learning using curriculum comprised of design, animation, programming and robotics. Offered year-round. Please click here to sign up. Rolling admission. Sessions offered September to May. Please click here to sign up. A copy of the child’s latest report card must be submitted to techgyrls@ywcachicago.org before the first session. Interested participants, please call 773-955-3100 ext. 2656 or email techgyrls@ywcachicago.org. National Science Foundation, National Center for Science and Engineering Statistics, Scientists and Engineers Statistical Data System (SESTAT) (1995), https://www.nsf.gov/statistics/sestat/, and the National Survey of College Graduates (NSCG) (2015), https://www.nsf.gov/statistics/srvygrads/.